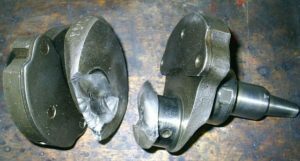 So, A Broken Or Cracked Crankshaft Is Considered Major Damage. The good thing is that crankshaft damage is not a very common occurrence. 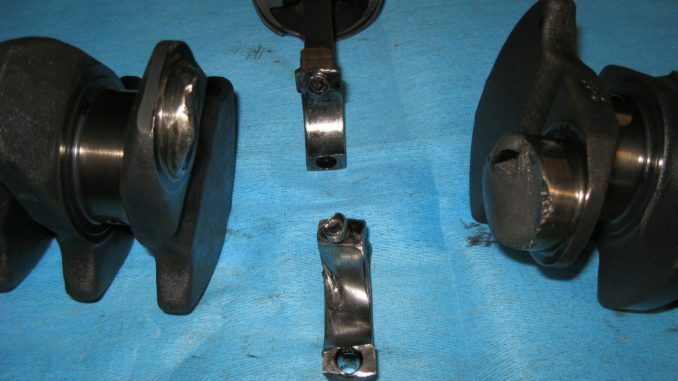 Crankshaft damage can happen due to a casting or forging flaw but this is very rare. Today’s quality control systems for forging and machining crankshafts are state of the art. 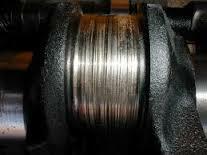 Most of the time crankshaft damage occurs because of another failure and not the crankshaft itself. That’s why you need to find out what caused the crankshaft damage first. 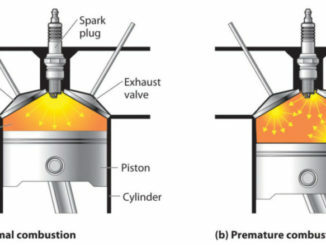 Many of these issues can happen in any engine but let’s talk about diesel in this blog. 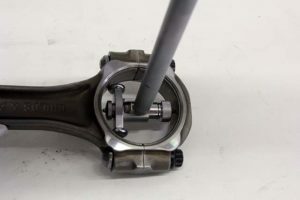 The amount of torque created during a failure, such as a spun bearing can cause a crank to snap. 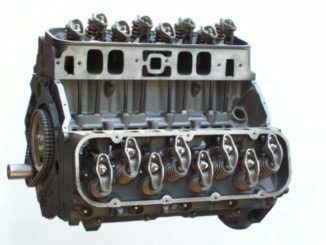 Diesel engines are more prone to crankshaft damage because diesel crankshafts are extremely hard with higher compression ratios. The ability of a component to handle higher load strains can be accomplished by heat treating surface layers. Nitriding is a process that introduces nitrogen into the surface of the steel at an extremely high temperature. This heat treating is done to increase wear resistance, improve fatigue and obtain a high surface hardness. Because of this process the crankshaft is extremely hard but also brittle. When an engine has a bearing failure, the excessive clearance can cause the crank to flex inside the engine. The crankshaft can wear past the point of grinding and have to be replaced. And, If the crankshaft looks like this the con-rod is most likely not resizable. The crankshaft can bend severely or even break in some cases. If the crankshaft does break the damage may be so bad that you may have to replace the whole engine. In cases where a nitrided crankshaft is bent, it is usually not recommended to attempt straightening. Attempts to do so could cause internal and external cracks which would result in crankshaft damage a second time. So, you have crankshaft damage and it needs replacing. What now? Well you could just buy a new or remanufactured crankshaft kit and install it, but it’s not that simple. Remember the flexing effect inside the engine? Well that not only causes damage to the crank but also causes damage to the housing bores. Because the crankshaft flexes around in the engine, the crankshaft can pound on the housing bores making them oval. The massive amount of torque from the flexing crankshaft can also stretch the bolts and distort the housing bores. Main caps can become loose in the registers causing misalignment. It is never a good idea to just swap the crankshaft out without properly checking these housing bores. 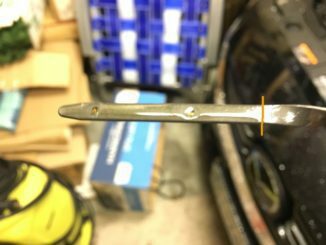 The most accurate way to check the housing bores is by using a dial bore gauge. 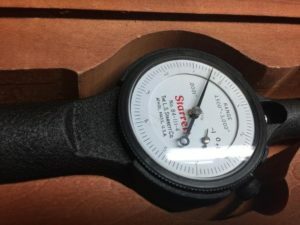 If you do not have a dial bore gauge then you should take it to your local machine shop. They can check all of the housing bores to see if they are out of round. If they are, usually they can correct them. By not doing this you are risking another crankshaft failure. Housing bores that are out of round will give you improper bearing clearance. Improper bearing clearance can cause premature bearing failure and in a worst case scenario, crankshaft damage for a second time. Insufficient lubrication can cause bearings in the crankshaft to fail. An over pressurized cylinder occurs when the crankshaft’s liner has a coolant leak. The pressure causes the crankshaft to slip or bend. Cracks most commonly occur at the fillet between the journal and the web on the crankshaft.